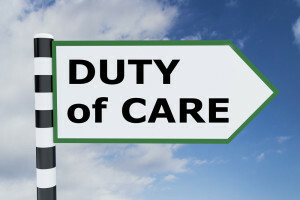 In a negligence action, the issue of whether a duty applies is a question of law. See Limones v. School Dist. of Lee County, 161 So.3d 384, 389 (Fla. 2015) (“[T]he existence of a duty is a legal question because duty is the standard to which the jury compares the conduct of the defendant.”); McCain v. Florida Power Corp., 593 So.2d 500, 502 (Fla. 1992) (“Since duty is a question of law, an appellate court obviously could reverse based on its purely legal conclusion that no such duty existed.”). 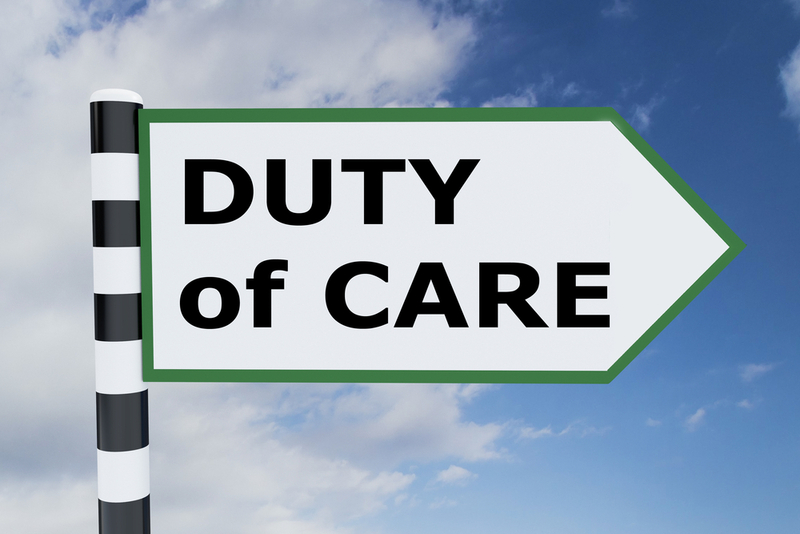 Thus, the trial court determines, as a matter of law, whether a legal duty of care applies in a negligence action. Oftentimes it is the fourth source – the general facts of the case – that comes into play to determine whether the defendant owed the plaintiff a duty of care. To determine whether a defendant owed the plaintiff a duty under the general facts of the case, the issue becomes “whether the defendant’s conduct foreseeably created a broader ‘zone of risk’ that poses a general threat of harm to others.” McCain, 593 So.2d at 502. For example, in White v. Ring Power Corp., a personal injury case discussed here regarding an expert’s qualifications, the trial court granted summary judgment (as a matter of law) finding that the lessor of a crane did NOT owe the plaintiff a duty to download certain crane overload data before renting the crane to the lessee. The appellate court affirmed because nothing in the record established that the failure to download such data by the lessor before renting the crane created a broader zone of risk to the plaintiff. Suing a public entity for negligent misrepresentation…let’s just say, is not that easy. Not that easy at all! Putting aside the doctrine of sovereign immunity (the doctrine that the king can do no wrong), a public entity does not have an affirmative duty to necessarily convey accurate information, no matter how fair or unfair this may sound. And, a negligence claim fails without the defendant (in this case, public entity) owing the plaintiff a duty of care. For example, in City of Dunedin v. Pirate’s Treasure, Inc., 43 Fla. L. Weekly D783a (Fla. 2d DCA 2018), a commercial owner wanted to renovate its property to accommodate a refurbished marina and a new restaurant. The owner met with the city to review its preliminary conceptual site plan. Based on this meeting, the owner prepared a costly site plan to comply with the City’s development code for the restaurant and marina. 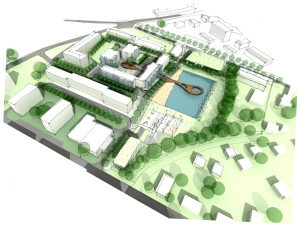 The City’s engineering department approved the site plan. However, the City then informed the owner that it had concerns with the restaurant’s square footage and parking. The owner and City agreed that the site plan for the marina and restaurant would be separated, as the owner did not want to ruffle any feathers. The City then approved the separate site plan for the marina but told the owner that the site plan approval for the restaurant was terminated as the owner needed to submit a brand-new application and comply with the updated development code. The owner filed suit against the City claiming, among other things, the City made misrepresentations about the site plan approval only to engage in a bait-and-switch tactic where the misrepresentations were made to induce the development of the marina, without the accompanying restaurant. The City moved to dismiss the negligent misrepresentation claim on sovereign immunity grounds. The trial court denied the City’s motion finding as a matter of law the City was not entitled to sovereign immunity and the City appealed. Interestingly, the appellate court rejected the City’s sovereign immunity argument but still reversed the trial court’s holding that the City is not liable to the owner for negligent misrepresentation. The court based its reversal on its determination that the City did now owe the owner a duty of care, hence the negligent misrepresentation claim failed as a matter of law. A duty of care analysis is different from the analysis whether the City is sovereignly immune from the suit. If there is no duty owed, there is no reason to delve into whether sovereign immunity applies. Here, the Court found no duty was owed because the City “does not owe a duty to convey accurate information concerning whether Pirate’s Treasure’s [owner] site plan complied with the City’s development code.” City of Dunedin, supra. The owner in this case could have been 100% correct. It had assurances from the City and acted on those assurances in devoting the money and time in finalizing its site plan based on the current development code. It then submitted separate plans at the behest of the City (to appease the City) only for the City to approve the marina (the project it wanted) while terminating the site plan for the restaurant (the project it really did not want). But, assuming this is all true, it does not matter because the court found that the City never owed an affirmative duty to the owner to convey accurate information, i.e., in this case, whether the owner’s site plan complied with the development code. In construction defect lawsuits, subcontractors responsible for the alleged deficient work or damage are third-partied into the lawsuit by the general contractor that hired them. And, sometimes, an owner (or association) tries to assert a claim directly against responsible subcontractors. There are times where subcontractors have the defense that the deficiencies and damages complained of are the result of design errors and omissions. A question becomes whether a subcontractor can assert a negligence claim directly against that design professional as a way to flow any potential exposure to the design professional. Unfortunately, there is case law that says that a supervising design professional does NOT owe any duty of care to a subcontractor. See Spancrete, Inc. v. Ronald E. Frazier & Associates, P.A., 630 So.2d 1197 (Fla. 3d DCA 1994) (duty of care that supervising architect owed to general contractor did not extend to subcontractors); McElvy, Jennewein, Stefany, Howard, Inc. v. Arlington Electric, Inc., 582 So.2d 47 (Fla. 2d DCA 1991) (trial court erred in allowing case to go to jury because architect’s duty of care could not have been extended to subcontractors); E.C. Goldman, Inc. v. A/R/C Associates, Inc., 543 So.2d 1268 (Fla. 5th DCA 1989) (consulting engineering/expert firm hired by owner to inspect and advise owner about roof owed no duty of care to roofing subcontractor). Without this duty of care, a subcontractor would NOT be able to pursue a negligence claim against the design professional because this duty of care is the very first element required to prove a negligence claim. (In order to prove a negligence claim, a plaintiff needs to prove that 1) the defendant owed the plaintiff a duty of care, 2) the defendant breached that duty of care, 3) that breach proximately caused damages/injuries to the plaintiff, and 4) the plaintiff was damaged/injured.) This does mean the subcontractor cannot assert the design professional’s errors and omissions as a defense, it just means that it will be an uphill battle for a subcontractor to assert an affirmative claim against the design professional. Premise liability claims are a concern to persons engaging a contractor (a business invitee) to perform renovation, maintenance, or repair work on property they own or lease. These are claims where a person injures himself / herself on another’s premises and sues the owner (and/or tenant) under theories grounded in negligence. “The crux of a cause of action for premises liability is not the ownership of the premises, but the negligence of the possessor in permitting [business] licensees and invitees to come unwarned to an area where they could foreseeably be injured by a dangerous condition which is not readily apparent.” Phillips v. Erican Manufacturing & Machine, Inc., 40 Fla. L. Weekly D103a (Fla. 5th DCA 2014) quoting Houssami v. Nofal, 578 So. 2d 495, 496 (Fla. 5th DCA 1991). the plaintiff suffered damage / injury. In premise liability claims, an issue oftentimes turns to the very first element, that being whether the defendant (e.g., property owner or tenant) owed the plaintiff (e.g., injured person) a duty of care. If the defendant did NOT owe the plaintiff a duty of care, there can be no negligence claim. In Phillips, a company was hired to clean and paint a warehouse’s corrugated metal roof that included cleaning and caulking skylights on the roof. As a worker was working on the roof, he fell through a skylight that had been concealed as it was painted the same color as the roof. While the skylight at-issue was visible from inside the warehouse, it was not visible from the exterior due to the paint. The injured worker sued the owner (amongst others) in a premise liability claim. As reflected in a prior posting also dealing with an injury from a skylight, an owner that hires an independent contractor is typically not liable for injuries to the contractor’s employees unless: a) the owner was actively participating in the construction in that the owner directly influenced the manner in which the work was performed or b) the owner failed to warn the independent contractor of latent defects / perils that were either known or should have been known to the owner and which were not known by the independent contractor and could not have been discovered by the contractor through the exercise of due care. This goes to the duty (first element in a negligence action) that an owner owes an independent contractor or any business invitee that an owner invites on his/her premises. 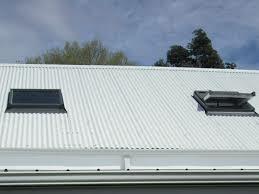 Because the painted skylight was not visible from walking on the roof, the issue was whether locating skylights solely from the roof was a reasonable inspection or whether the contractor should have also located skylights from inside the warehouse. If the contractor should have located skylights from inside the warehouse, then the contractor could have discovered the concealed peril (painted skylight) with due care, thereby defeating his premise liability claim. The Fifth District found that this was an issue for the jury. Phillips, supra (quotations and internal citations omitted). Notably, if a lease allows the tenant to make improvements or repairs subject to the owner’s approval, the owner will be deemed to have sufficient possessory interest or control over the leased property to owe a duty to a business invitee. See Russ v Wollheim, 915 So.2d 1285 (Fla. 2d DCA 2005).